Whenever I make the mistake of taking a tour around on public streets, I am aghast at the vehicles that I encounter. All manor of economy cars are clogging up lanes and people even seem to think it is appropriate to drive electrically powered automobiles. Particularly offensive is anything that doesn't have the class, elegance and unfettered weight of something like a Rolls. 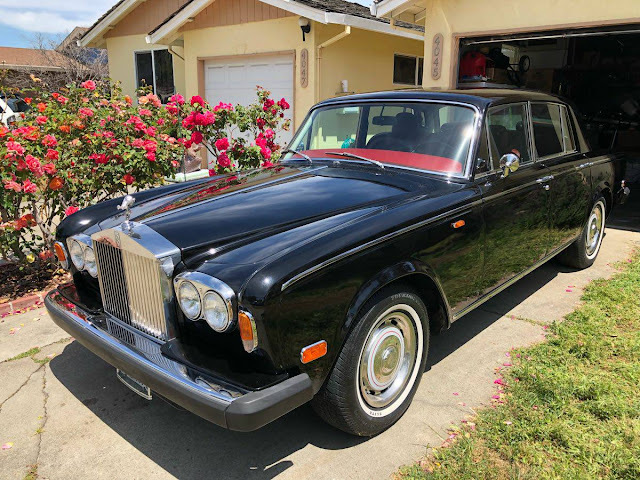 Find this 1975 Rolls Royce Silver Shadow offered for $8000 in San Jose, CA via craigslist. This was a running and driving car, but the fan clutch recently went out,and it has a power steering leak.The car starts, but the fan blade hits the AC pump. I've had this car for a short while and enjoyed driving it. The body is straight, and the paint is shiny with only one small flaw. 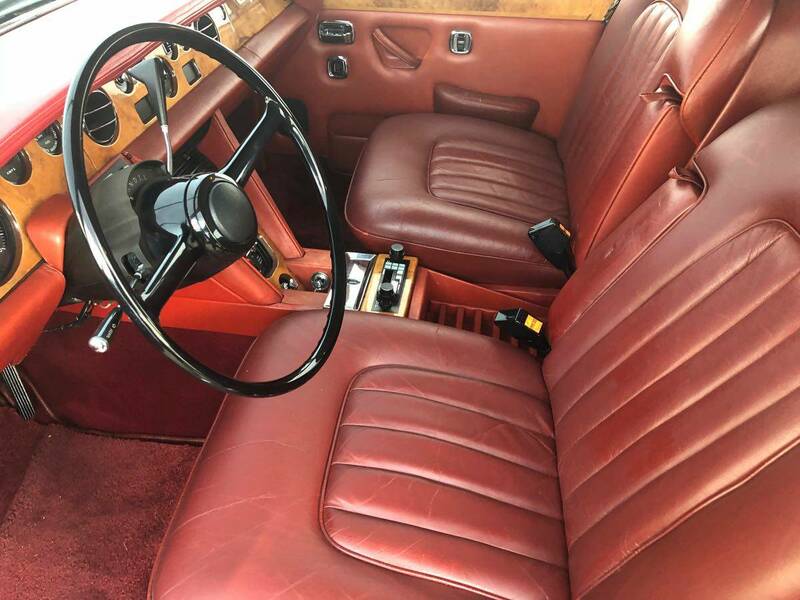 The interior is clean with minor wear. Keep in mind this is a 1975 car and not a 2018, with that said it need a little misc tlc. I would love to keep the car, but with the parking situation in South Bay and the time for me to spend fixing it is not feasible right now. I'm not in a financial bind, so don't try to low ball me. If the car doesn't sell, I will put it in storage till I have more time and space. 8000 firm! Reminds me of the RR drift car I saw pics of floating around a while back. $8k, if I had project money this would be a great start. Serious question: How bad would it be to take a Rolls with a perfect bod and lunched engine, and convert it to electric? Responses, both helpful and sarcastic, are welcome. Well, on the plus side it would operate almost as quietly as a gas-powered Rolls. You may want to check out Neil Young's book "Special Deluxe". I own it and must confess I haven't read it yet, but I know a lot of it is about his cars and he's a big fan of converting classics to electric power. Should be able to find the book through most sellers. Install an after-market electric fan in the driveway. Fix that power steering leak when yo get her home. Repairs sound easy enough. You could be gliding around town in no time at all. Don't even need to go that far. Apparently the fan clutch this year needs (UE37061) is interchangeable with a fan clutch GM used in the 70's. AC-Delco (15-4309), Four Seasons, and Hayden all make the part. Between $30 to $60 bucks.